We received one of the littleBLUEPRINT “I have a Plan” books for kids in exchange for an honest review. All opinions are our own. Kids thrive on routine and predictability. Sure, some surprises are great, but in day-to-day life, they tend to feel comforted when they have a plan. For example, when my son was little, I was pretty willy-nilly with bedtime. One night we’d have a story, another we’d skip it because he was late to bed. I was a brand new mom so I didn’t really understand the importance of routines. Once I started a routine, bedtime challenges became a little less, well, challenging. Now that my son is older (he’s eight going on eighteen it seems! ), bedtime is pretty much good to go. One thing I worry about the most now is safety. See, that’s another thing I kind of put off- having a plan for emergencies. I just figured he’s always be with me, so he didn’t really need to plan. I’d take care of it. No lectures required, my friends, I know I was wrong. I can admit it! With littleBLUEPRINTS “I have a Plan” series, I found the answer I needed to help my son learn and remember our emergency protocol. 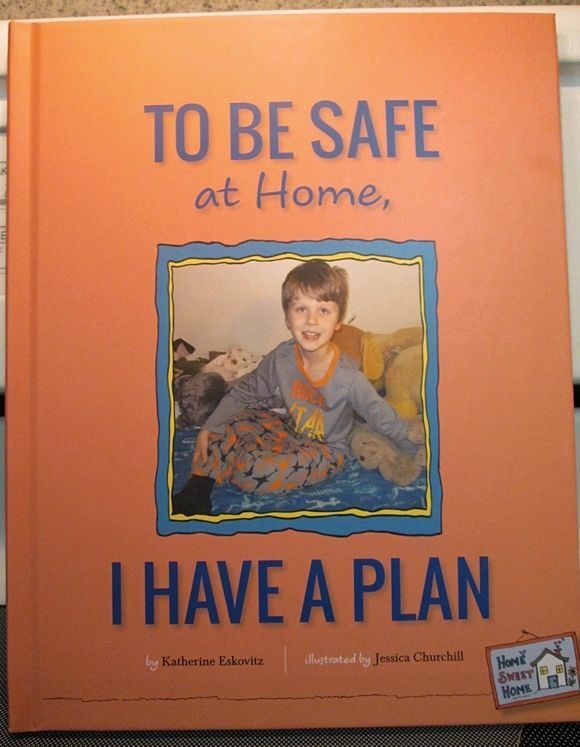 I received a personalized copy of their “To Be Safe at Home, I have a Plan” book. It has everything I need to teach Jacob essential safety information. 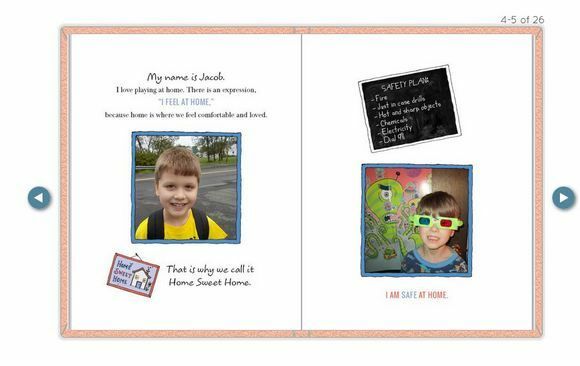 Creating personalized I Have a Plan books for kids is so easy. In fact, you don’t even have to personalize it if you don’t want to, although I think it really gives it a nice touch. Start by choosing your book. Aside from the safety plan, you can also get books that help kids with bedtimes, holiday celebrations and even loss or divorce. 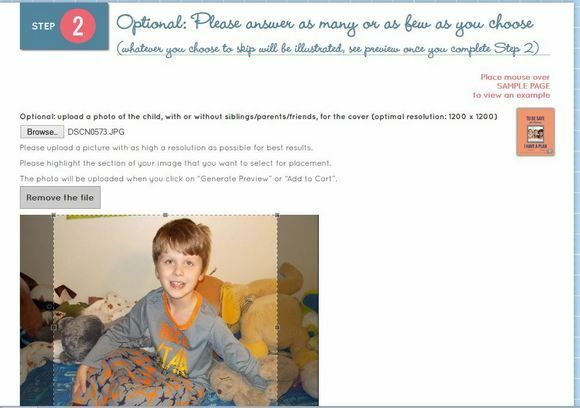 In the first step, you’ll choose a character for the pages that don’t have personal pictures. Then it’s time to get personalizing! Answer as many or few questions as you want to. Pick a cover photo and pictures for inside the book. When you’re done personalizing, preview to make sure everything is right, then order! It takes minutes to create totally personalized books for kids that help them feel more in control of life events. I was really impressed with the littleBLUEPRINT book when it arrived! It’s a nice hardback with a photo of my son right on the cover. This, of course, drew his interest right away. 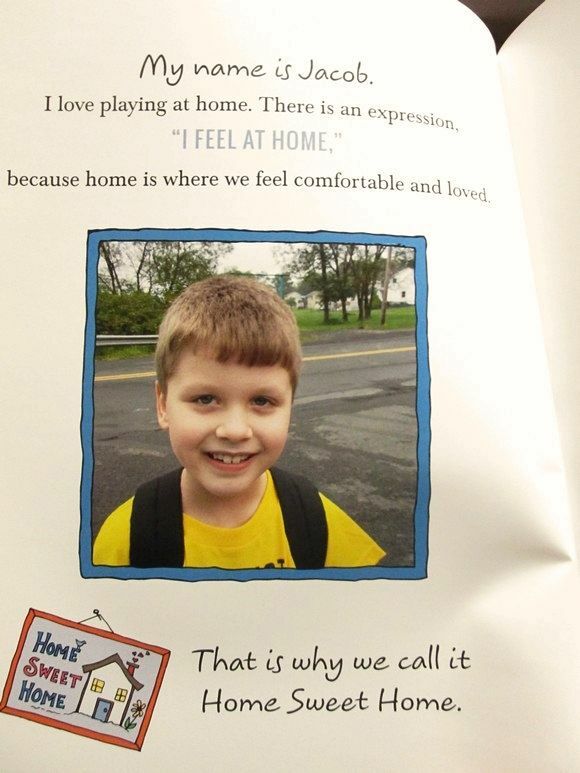 I mean, what kid doesn’t love seeing himself as the star of a book? My favorite part, though, is the page with all our personal information. Seeing it in a story format helps Jacob remember our phone number and address better. For the longest time, he thought that he could hit “2” on any phone and it would dial home. That was my speed dial setting for our house in my cell phone. I also love how at the end of each book there is space for your child to write his own plan. We loved the vivid pictures, including several of Jacob himself! I also love how important words and messages are set apart from the rest of the text with different font. The littleBLUEPRINT plans really do an amazing job of helping kids memorize their plan through visual cues and stories they can relate to. Not only does this book provide children with a solid plan, the personalized nature of it definitely helps encourage reading in kids! Check out all the different littleBLUEPRINT books available, including both personalized and ready-made plans. Connect with littleBLUEPRINTS on Facebook and Twitter to keep up with news! I would choose the, To Celebrate the Holidays, I Have a Plan. A really great idea and a lot of people don’t think about ‘having a plan’ I think this is such a great idea for everyone to do. What an awesome way to create a plan and have a visual for the kids. Oh wow, I love this –> always have a plan! I don’t think people realize how important it is to have a home safety plan, especially when you have little ones! This is great!